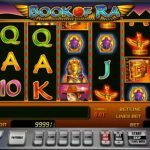 Plumb the depths of Egypt’s treasures with Novomatic’s classic Book of Ra slot, an online casino game that delivers the old-school betting flavor. 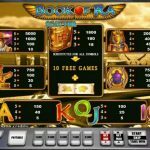 Novomatic has had a long history in the online slot machine business. 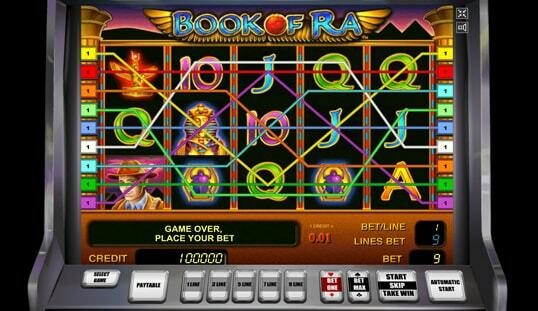 Book of Ra was one of their earliest products and it shows in its look and feel. 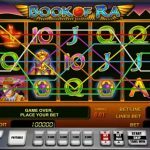 If you have been around the online gambling world since the early days, you can recognize the aesthetic around the design of Book of Ra slot. The aim was to emulate real-life slot machines so that people would find it recognizable, down to the buttons to press. The sounds are pretty basic, being there just to indicate the wheel turn or a win. When people play Book of Ra, they immediately notice the bare bones gameplay. First there are the five reels that display the basic symbols and the special symbols. There are nine pay lines in the game and the combinations are counted from left to right. 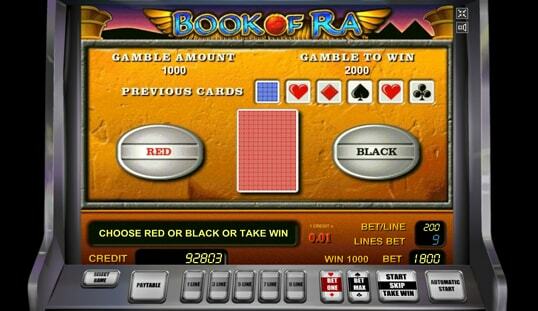 The basic interface gives you a choice of whether to bet on one, three, five, seven, or nine pay lines. There are also the two buttons that determine the amount of your bet. At most, you will be betting nine coins on nine lines, adding up to a maximum bet of 81. If you do win, your bet will be multiplied by the combination’s payout number. 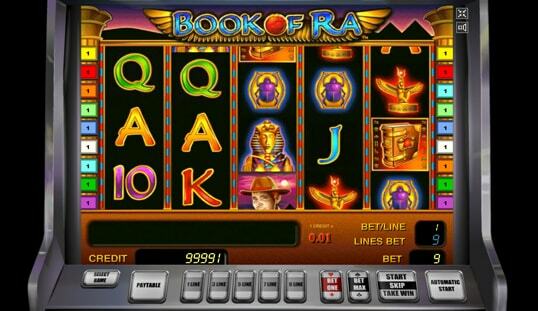 It can be troubling to keep on clicking the ‘Start’ button when you play Book of Ra, so Novomatic installed an autoplay button, which gets the reels spinning as long as you do not hit a combination. Although this slot does have very basic gameplay at its core, you can see the seeds of what will be common features nowadays. There is the gamble option; this happens if you win. You have the chance to guess a hidden card’s color or suit. If you guess right, you have a chance to double your bet up to five times. You lose everything if you are wrong. Note that you will not be able to gamble if you use the autoplay option. Another bonus scheme available is the bonus round option. If you get three Book of Ra symbols, which also act as wilds, then you get 10 free spins where wilds expand to cover their entire reel. These free spins are a great way to increase your earnings and have become an essential part of online slots. 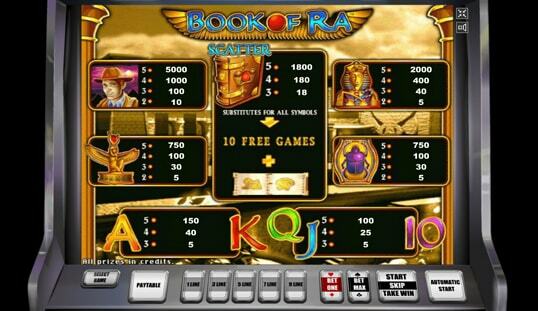 Book of Ra slot is a great game to play if you want to go back to basics. The problem is that many slot players nowadays expect more when it comes to their games. 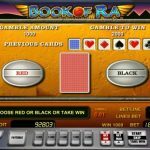 You can play Book of Ra with Bitcoin on FortuneJack and Vegas Casino.